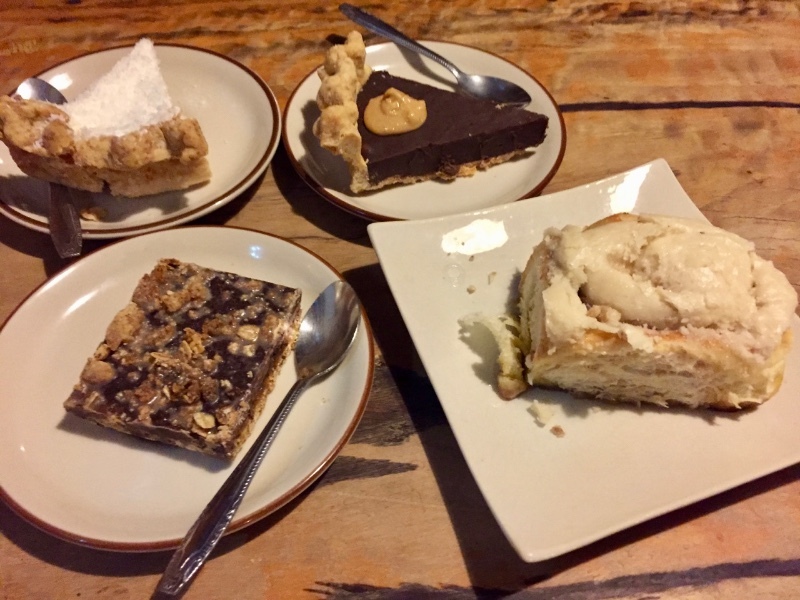 Blue Diamond is a Thai restaurant serving fresh hill tribe coffee, breakfast, soups, baked goods, and wide variety of vegan desserts in Chiang Mai. 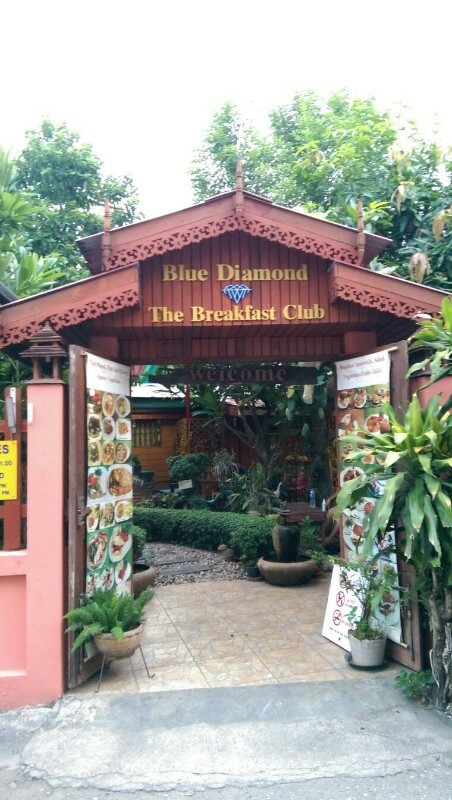 Blue diamond is very well known by expats and locals in Chiang Mai. 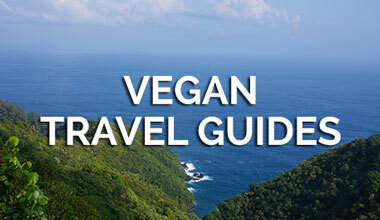 It is not a vegan or vegetarian restaurant, but they do serve some pretty decadent vegan desserts, soy, almond, and coconut milk lattes and cappuccino, decent vegan banana and mango pancakes, a few vegan soups, and veg dishes. 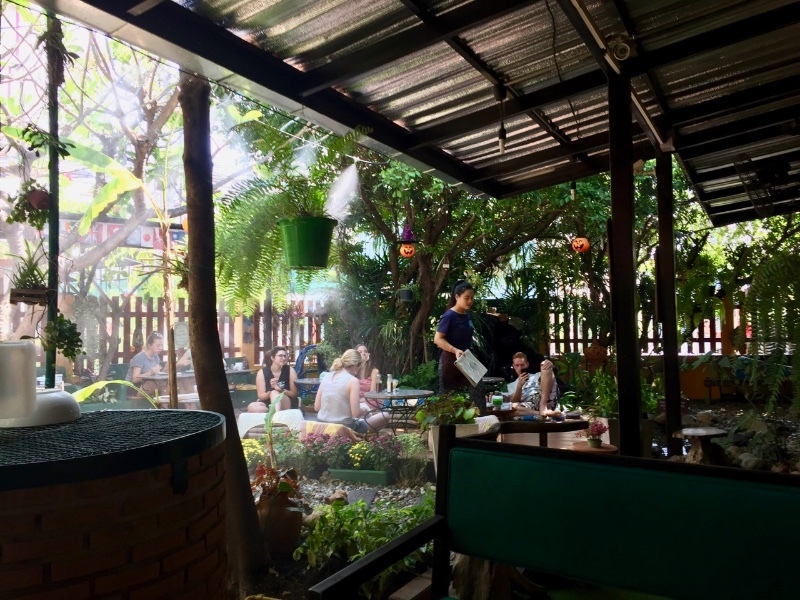 The restaurant is nestled on a local back street in the old city, and their lovely outdoor courtyard and lovely pond make it a great place to take your time, sip on a latte, and enjoy how tranquil Chiang Mai can be. 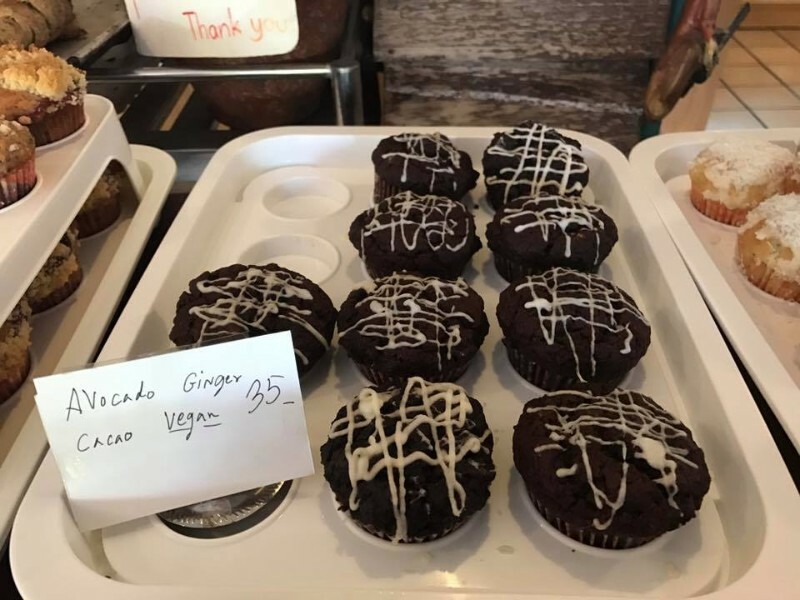 Almost all of their muffins are vegan, as well as their coconut cream pie, chocolate peanut butter pie, caramel chocolate square, and a few other sweets, but I highly recommend their cinnamon buns. 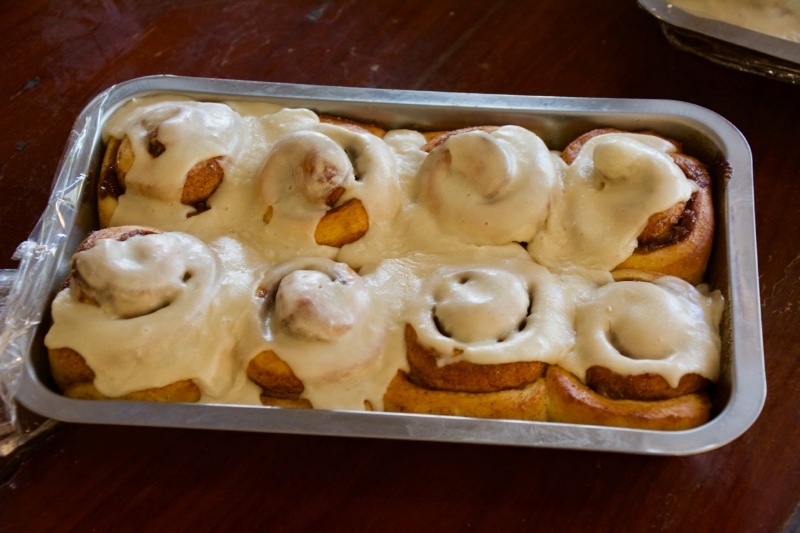 They are sweet, spicy, and sticky, and they have greatly improved since our last time there. 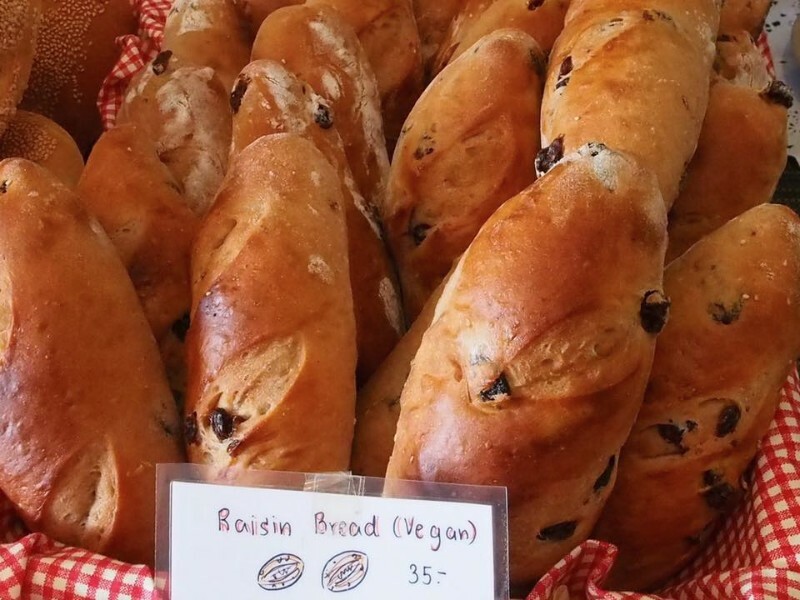 You can also grab some whole grain vegan croissants to go, and they sell a large variety of herbal products, natural soaps, and shampoos, and rather expensive fruits and veggies. 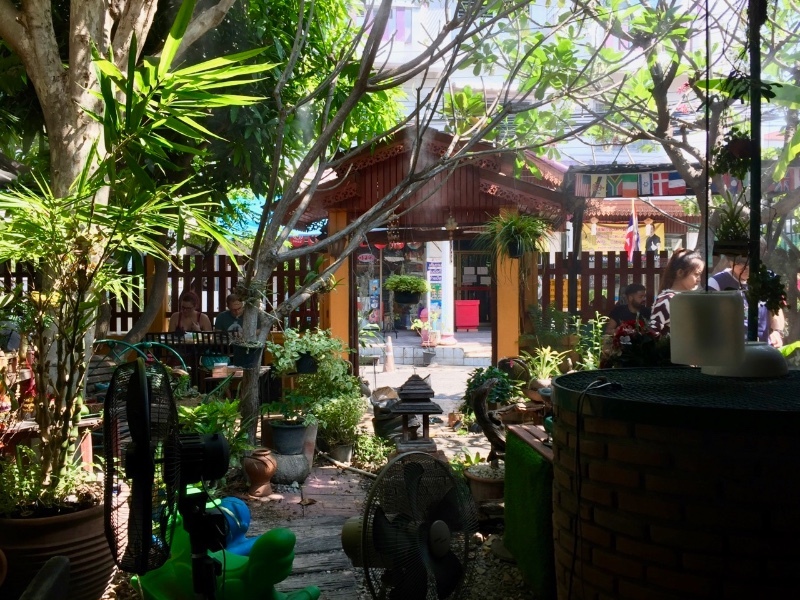 Blue Diamond is a vegetarian cafe in Chiang Mai, with a lovely outdoor garden with comfortable seating and fans. 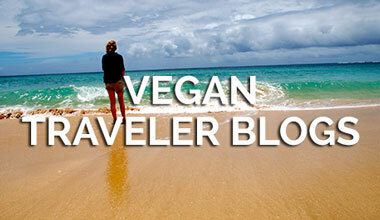 Blue Diamond fresh bakes amazing vegan deserts including the best Cinnamon rolls I’ve ever had. 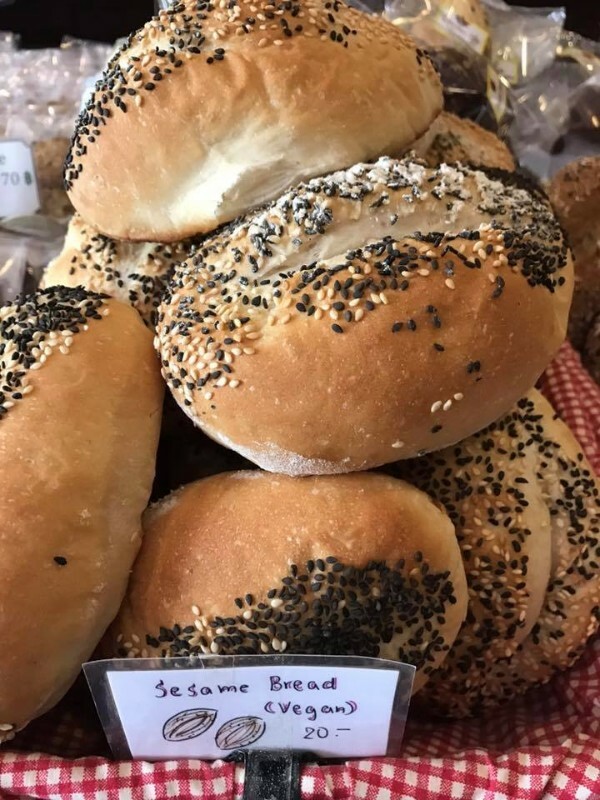 It’s a great place to relax with friends, and they have so much seating both inside and out that you can feel comfortable spending as much time as you like catching up on your blogs or emails.